Home » Home remedies » How to Treat Acne during Pregnancy? How to Treat Acne during Pregnancy? According to Dr Roberts A Sarro (MD), a known Dermatologist in Florida, “acne is a skin condition that occurs when hair follicles become plugged with oil and dead skin cells.” Acne during pregnancy can be pretty troublesome and appears on the face as blackheads, whiteheads, pimples and nodules, etc. Pimples during early pregnancy are caused due to various reasons such as hormonal imbalances, excess secretion of sebum, and heredity, etc. Acne due to pregnancy is very common. One out of two women tends to develop acne during pregnancy. The increased level of hormone secretion during the first trimester of pregnancy causes acne in most women. You have a higher risk of developing pregnancy acne if you have had acne before. You have to be very careful while handling pregnancy acne as some medications can be harmful to the baby. Some over the counter medicines come with high risk of birth defects. Hence, it is always safer to use home remedies to tackle your acne rather than using medicines. Here are some natural acne treatment during pregnancy to help tackle acne. Aloe vera has antibacterial and anti-fungal properties, which help in effectively treating acne and redness. The antifungal properties are useful in treating inflammation such as boils and cysts. It helps by speeding the process of healing. Using natural aloe vera gel from the plant is ideal. Tea tree oil consists of antimicrobial properties that help fight infection caused by bacteria that is present in the pimple. Make sure you spot test with tea tree oil as skin is extra sensitive during pregnancy. Cut an aloe vera stem and collect the pulp from it. Process this to get a smooth gel. Mix one drop of tea tree essential oil with about a spoon of aloe vera gel thoroughly. Use this paste as a spot treatment gel. Let’s sit for about 5 to 10 minutes, and then, wash it away using a damp cotton cloth. Fuller’s Earth (Multani mitti in hindi) is an age old remedy that is known to treat acne and give you glowing skin. Mitti is a rich source of magnesium chloride which helps in tackling acne breakouts. 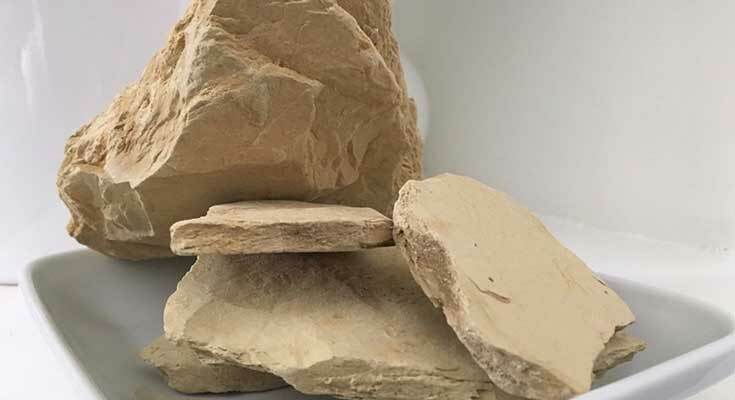 Multani mitti is rich in minerals and helps clearing your skin and eliminates dirt and oily skin. It is also used as a scrub as it can clear your pores and keep it from clogging. It is not only used for acne treatment but also for removing the acne scars. Turmeric contains anti-inflammatory properties, which help in treating acne, reducing redness and boils. It is also rich in antioxidants which give you glowing and healthy skin. Turmeric has excellent antiseptic and antimicrobial properties that can help curb acne. Add 2 tablespoons of Fuller’s Earth with one tablespoon of turmeric powder and 2 tablespoons of honey. Mix these ingredients into a fine paste. Apply this mixture on your face as a mask and let it sit for about 15 to 20 minutes. Gently rinse it of using lukewarm water. You can use this remedy about two to three times a week. The honey that we use in this pack has bleaching properties and helps even your skin tone. This helps fading of acne scars. Turmeric is loaded with natural antimicrobial and antibacterial properties as mentioned in the earlier section. Sandalwood promotes skin healing by controlling the inflammation and redness of pimples. Sandalwood is also an age old remedy that has been used in India throughout the ages to treat skin problems and promote healthy and radiant skin. Mix one spoon of turmeric powder with one spoon of sandalwood powder and reasonable amount of water. Mix the ingredients well to form a uniform taste. Apply toothpaste on to your face and neck. Latest masks it for about 10 to 20 minutes and then wash it off using lukewarm water. This mask nourishes the skin and events out uneven skin tones. Lemon juice is rich in vitamin C and contains antiseptic properties which can help tackle acne problems quickly. This method is used as a spot treatment rather than a face mask. Lemon is also used in several skin products due to its natural bleaching properties. Take one spoon of freshly squeezed lemon juice in a bowl. Using a cotton ball apply the lemon juice directly on the pimple. Leave this overnight for a clearer skin in the morning. If you have very sensitive skin, you can dilute this using water. If you would like to use it as a mask, you can mix one spoon of lemon juice with one spoon of honey and apply this mixture on your face. Leave this mask on for about 15 to 20 minutes and drink it off with warm water. Youngster (curd) contains antibacterial, anti-fungal and anti-inflammatory properties. This makes yogurt a superfood that can fight acne faster. Mix yogurt with lemon and besan (chickpea flour) till you get a uniform consistency. Apply the mask evenly on your face and neck. Let it sit for about 15-20 minutes and rinse off with lukewarm water. Along with these home remedies, you can also follow these tips for safe acne treatment during pregnancy. Use a gentle soap to wash your face twice a day. Do not wash your face too many times as this removes your skin natural oils and produces dry and irritable skin. When you have breakouts and acne, it is always better to avoid scrubbing your face. Do not touch your acne or pick on it as this only aggregates the condition and causes redness. Try avoiding touching your face as much as possible. Make sure you wash your hands properly before you touch your face. Use a gentle moisturizer that is made for your skin type. If you have acne on your back, you must avoid wearing any tight clothes or fancy materials. Use cotton clothes as they help you feel comfortable. Eat healthy diet that incorporates plenty of fruits and vegetables. Drink lots of water as it helps you stay hydrated throughout the day. Stress is also a very common factor that causes acne. Hence, it is advised to meditate or follow other relaxing activities to help keep your stress levels down.